Patients frequently come into my office and ask me which “vitamins” they should take. I usually respond by recommending that they take herbal therapies instead. So what’s the difference and why does it matter? The majority of vitamins sold on the market today are considered “bioidenticals”, which are substances similar to the natural chemical compounds found in the body. Bioidenticals can include vitamins, coenzyme Q10, l-carnitine and omega-3 supplements. Many people erroneously assume that because bioidenticals are natural, they are all safe. The problem with bioidenticals is that they’ve only been in use for about 50 years and we don’t know very much about their long term effects on humans. What we do know, is that bioidenticals can throw off the balance of the other natural chemicals found in the body. In light of this, many non-activated vitamins may be causing more harm than good. Omega-3 supplements are by far the most studied of the bioidenticals, but even then, the studies are not as infallible as the news media tends to make it appear. Concerning studies on bioidenticals in general, keep in mind that bioidenticals cannot be patented–which typically means fewer allotted funds for any type of intensive long term study. Additionally, it’s important to understand that supplements should not be studied in the same way as drugs because they do not have a single targeted effect like a drug has. Because of these reasons, most bioidentical studies are flawed and inconsistent results are common. Herbal therapies have actually been used by humans for thousands of years and revolve around the use of plants or plant extracts for wellness purposes. These herbals typically include bitter-tasting plants that are not part of the normal diet and they have a proven track record; the most commonly used herbals have an excellent safety profile and are very effective for reducing causes of disease and restoring normal balance in the body. If you think about it, plants have no other defense mechanism other than their own antioxidants and antimicrobial properties to protect themselves against the elements. Plants must make a stand wherever the seed happens to land; tenacity is essential for survival. Tolerating harsh environmental conditions and fending off microbes of every variety is what they do; of course, some do it better than others. Our cultivated food plants have lost much of their survival abilities. Without being carefully tended to, they quickly wither. For this reason, the medicinal value found in cultivated food plants is limited (so even the most healthful diet can only carry you so far). Plants used for herbal medicine, however, have very intense survival abilities. They are packed with chemical substances offering antioxidant, anti-inflammatory,immune-enhancement and broad-spectrum antimicrobial properties—all there for the benefit of the plant, but certainly any creature that consumes the plant also gains the benefit. Humans have known this for a very long period of time and herbal medicine has always been a part of human culture (up until about 1930 when we exchanged herbs for drugs). The commonly used herbs typically have thousands of years of human use to their credit and safety has been well defined. Herbal therapies promote healing and healing takes time, therefore symptom reduction is generally much slower with herbs than drugs. Herbal therapies work best in synergy with combinations of multiple herbs and often high doses are required to gain maximal benefit (remember, herbs are more like a food substance than a concentrated synthetic drug). Toxicity, however, is rarely a problem if the herbs are chosen carefully. 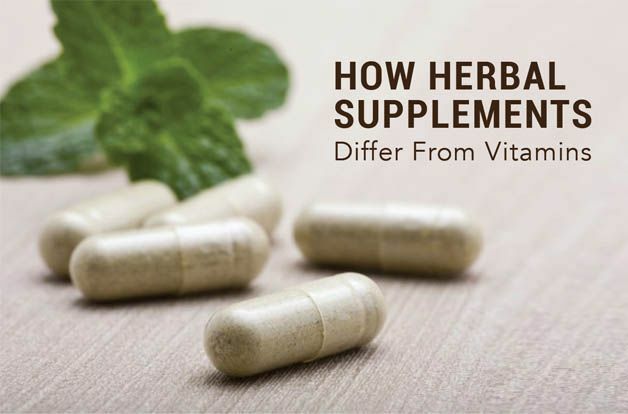 Though herbs are not typically studied in the same fashion as drugs (and they shouldn’t be–because they work differently), there is a very large body of scientific information available for most all of the commonly used herbal therapies. In fact, we probably know more about herbs than any other form of medicinal therapy (yes, even drugs–information about long term use of most drugs is actually very limited), and accessing information about any herb on the planet is just a matter of doing an internet search.